As long as the nights are still freezing and the days are warming in mid-February through March, we are able to tap a few maple trees to gather the sap that flows befoore the tree produces buds. We walk through many wooded areas during the summer and autumn months, identifying the trees and plants we find. It is much easier to identify leafy deciduous trees in the summer than in the winter by bark alone. We keep track of the location of several maple trees and return to them in late winter/early spring to tap. Sugar maples produce sap with the highest sugar content, about 4% at peak collecting times, but you can also tap other maples, box elders or some species of birch. Robert purchased taps from Holdridge's Garden Center in Ledyard Center several years ago. The trees we need to find must be at least 12" in diameter for one tap, and 22" in diameter to support two taps. He uses a power drill to drill a hole into the tree and then uses a mallet to pound the tap snugly into the hole. Creating a small hole in a tree like this will not kill the tree, the tree will recover and close the hole within the year. 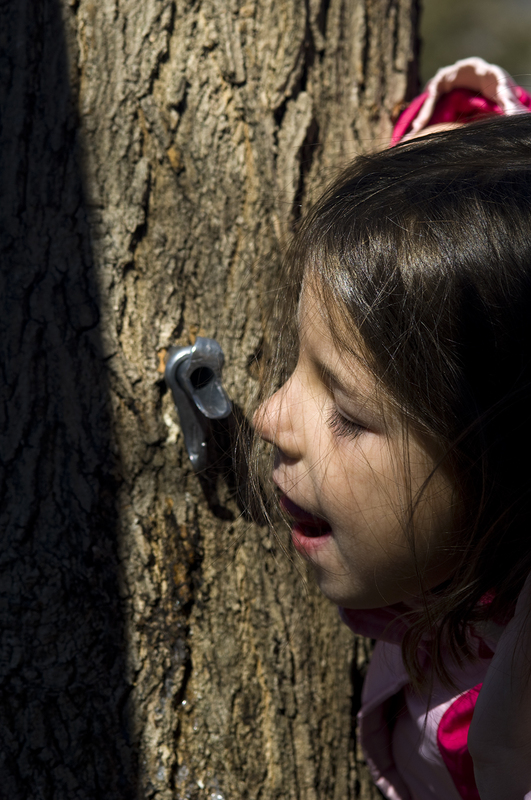 A collecting vessel is hung from a hook on the tap to collect the sap that flows. Depending on conditions, it can be a slow drip, or fill a half gallon bottle in a day. We can expect to collect 5-15 gallons of maple sap from each tap during the season. We are collecting the sap mostly to drink as sap. The sap is slightly thicker than water and very refreshing to drink. 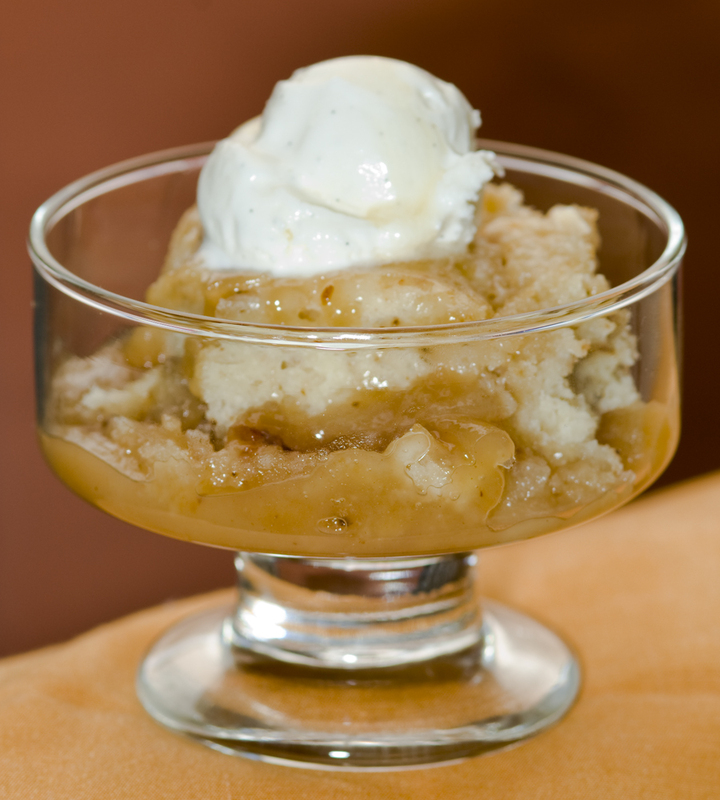 It contains small amounts of sucrose, glucose and fructose, all natural sugars. The fresh sap also contains small amounts of malic acid, zinc, maganese, potassium and calcium. We filter it through a coffee filter to get out any bits of wood or debris and chill the sap. In Korea there is an establised culture of drinking lots of sap in the spring as a cleanse. To make syrup from the maple sap, you need 40 parts of sap to make 1 part of syrup. That means you need 40 gallons of sap to make just 1 gallon of syrup! There is a reason why real maple syrup is so expensive. We did try to boil our own syrup last year with limited success.We boiled down about a gallon of sap to make just about a quarter cup of dark syrup. It was mostly an experiment to see if it could be done, and we were happy with the results. So far this season, we have put out three taps on maple trees in the area. The sap production was slow at first, supplying us with just enough fresh, cool sap to drink every day. As the season has progressed, the output is greater. Even with the recent cold snap, we are getting about five gallons of sap every three or four days, far too much to drink. We steamed up the kitchen and boiled about ten gallons of the sap in batches to end up with about a quart, or 4 cups, of our own maple syrup. While I am not an expert at grading the maple syrup based on color, we boiled it down enough to make a rather dark syrup, since we like the more caramel-y flavor of a darker syrup. With that much maple syrup in the house, I made a Maple Pudding Cake using the recipe we picked up a few years ago at the Hebron Maple Festival. The festival is this weekend, March 10-11, in the center of Hebron. Visiting via Punk Domestics. We're sugaring for the first year and trying to keep up with the abundance of sap. We'll also have to try drinking it--I've read that the Native American tribes in my area used to sustain themselves on maple sap this time of year. Amazing stuff!